Dr. Singh lives in Bolingbrook with her husband and daughter. In her free time she enjoys spending time with her family, reading, cooking, crafts, and party planning for friends and family. Dr. Singh graduated from UIC College of Dentistry in 2005. While working towards her dental degree she also completed a Bachelor's degree in the Dental Sciences. 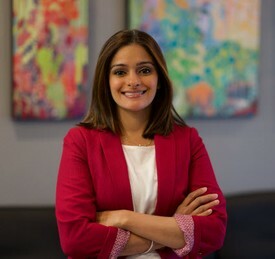 Dr. Singh obtained her undergraduate degree from the University of Illinois, Champaign-Urbana. Dr. Singh is a member of the American Dental Association, Illinois State Dental Society, Chicago Dental Society, and the American Academy of General Dentistry. Dr. Singh is committed to continuing education in order to stay current with the newest techniques available to provide the best care for her patients.